The CT6 is Cadillac's new flagship. The one thing you should take away from it? It's not a BMW. 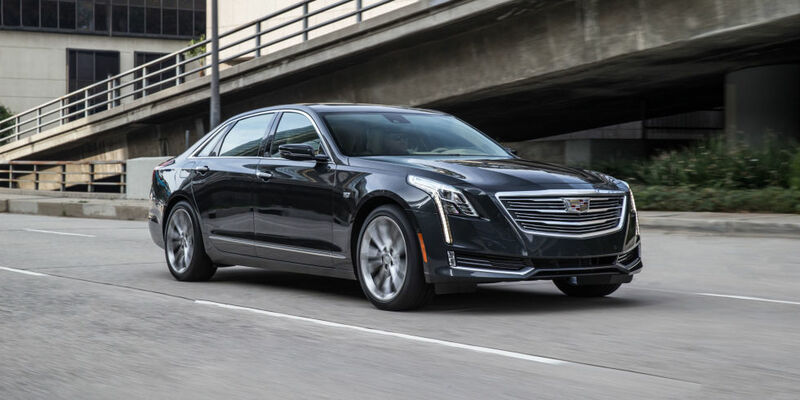 Executives say that the CT6 is a proclamation that the brand will no longer follow the lead of the Germans when it comes to their sizing system. The CT6 fits in between the BMW 5-Series and 7-Series in terms of length. "We respect what the Germans have done, and they've got a successful recipe. But that doesn't mean we have to bake the same cake." Cadillac has designed the CT6 with the Chinese in mind (maybe we should call it "Chinese luxury"). The backseat has received a great deal of attention. There is no lack of legroom. The backseat also has optional rear screens that don't take up too much room. On the tech side Cadillac also gives customers a nice dollop of features. The CUE system gets a touch pad on the centre console, although GM's Super Cruise semi-autonomous steering system has been delayed till 2017. We'll see if consumers understand the CT6's mission. De Nysschen admits that the "in-between" strategy is not without peril, but he says that the CT6's size is central to the brand's hierarchy and long-term plan. "If we emulate, we'll always be followers," he says. "As a challenger brand, we need to take more risks. " 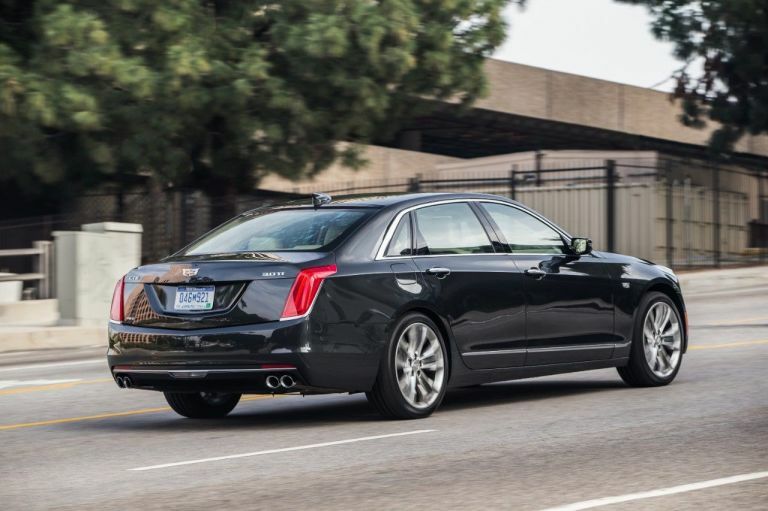 Looking at the back end of the CT6, and reading some reviews on the driving experience of the flagship sedan, it seems like Cadillac could have afforded a few more risks when it comes to the CT6. It's sad to see a brand that has its own unique selling points being lumped in with another brand. I think that it signals something to the manufacture though. It's a sign that they need to go back to their roots and relook at what made Cadillac a brand that everybody looked at back in the day. I can see this being true since I noticed more and more brands are not trying to compete directly but trying to slot in between which helps them to target more than one segment, pulling in buyers that when spending a bit more can get something more to their liking and those who could spend more have a cheaper alternative. Fits my taste. I went from a 2012 CTS-V A6 sedan to a 2016 CT6 3.0 TT Platinum. Now have 850 miles on my "Man Cave" and love every mile drive. Now you have me thinking about what a CT6-V sedan will be like, only downside is with the lack of interest in the CT6, I don't know if they can justify going for a performance version unless they see it as part of what will elevate the entire CT6 line up. The 3.0 TT has plenty of get up and go for me. I have a different mind set driving the CT6 compared to driving my previous 2012 CTS-V. The CT6 is made for a comfortable, smooth and quiet ride. I do not have to mash the gas pedal to enjoy the ride. the latest technology is unbelievable. I like the sounds of that and with it being an engine setup with forced induction, come time to do an ECU tune we should be able to get a good amount of power more out of it. Just not sure right now how much power and where along the power band i'll want it. Do you see a need for more power? The car has enough torque and passing power for me. Since I don't race I do not miss the 'racing power my CTS-V had. that's how it's going to be for most people. the real problem is reading about it online with those comparisons since on paper it might not seem that good, it's why I always suggest those serious about buying actually drive the darn thing. Just over 1500 miles. Tested car yesterday for get up and go. More than completely satisfied with actual power and high speed passing ability. I don't need a "V8" for this "luxury sedan". In order to be able to post messages on the Cadillac CT6 Forum forums, you must first register.